From startups to SME’s, SMB’s and large enterprise, no matter what your business size classification, there always come a time where you could be using Self Storage to help your online business grow. We all look at the Amazon model and wish things were really that simple, but the truth is, most businesses are operating far from a dropshipping bliss, and we really do not understand the business model that Amazon has, except that the so called ‘model’ looks attractive. What is missing here is the countless years Amazon has traded and operated offering far more than just online shopping, with its successful fingers in online marketing services and databases (Alexa), web servers and services (AWS) and now in the billion dollar IoT industry, with Alexa and Echo at the forefront of home technology/entertainment, where manufacturers are using Amazon as their reason for development. 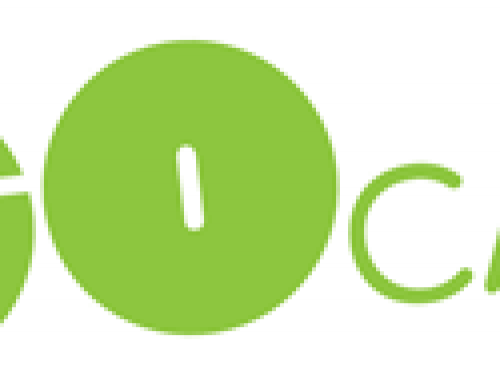 They are actually more a cloud computing company than an e-commerce company, and they acquire well. That being said, a lot of online businesses use Amazon as an inspiration, and eBay too, to get themselves operating as an online business. So, how could be using Self Storage to help your online business grow? The answer is convenient, manageable and clean storage as a solution. 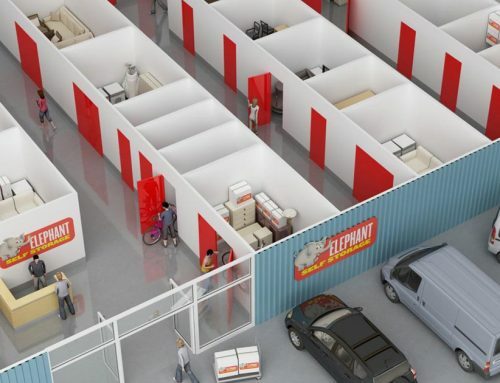 Using cost-effective self-storage removes one of the biggest issues that online business face, which is where to store your physical goods, while you are waiting for people to buy them. Warehousing in Dublin is currently at a premium, and not only costly, but rare too and often in hard to get to areas, with rush hour traffic a massive turn off for anyone using warehousing or storage centres directly off the peak off-ramps on the M50. We know that to get good value on your shipments from abroad, you usually have to import at least a pallet, if not even 20ft container loads of merchandise, so if you are looking to expand, make us your first call and be the solution to your storage needs. 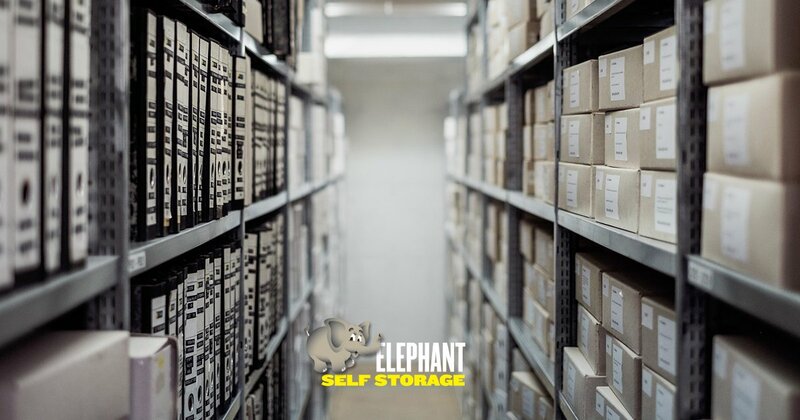 Elephant self storage offers a wide range of storage solutions, based on your size needs, so we have the perfect offerings for all local businesses and file storage. To make an enquiry about our flexible offers, call today on +353 1 494 0000 or contact us via email here. 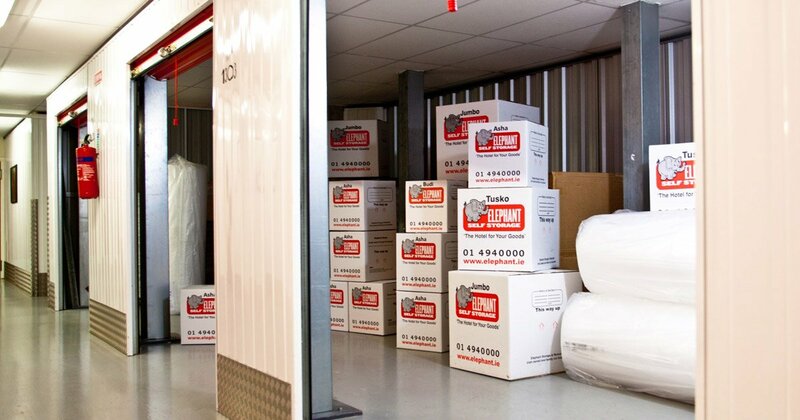 Read our case studies here on how self storage has helped local companies.